Is there a difference between a Telstra DSLAM and an Internode DSLAM? We’ve talked a bit about how an ADSL service gets to your house along the copper telephone network. But once it hits the telephone exchange, your tenuous copper connection is connected to a big, bad piece of networking equipment with an epic name – DSLAM (”Dee-SLAM!). What is this device, and is there a difference between Telstra’s DSLAMS and that of other providers like Internode? Click here to check out our best ADSL Wi-Fi broadband plans! In the parlance of providing broadband, DSL (Digital Subscriber Line) is a generic description that could, theoretically, apply to mobile, or cable as well. But in time, DSL has specifically come to refer to broadband-over-copper telephone lines. The ‘A’ is ADSL refers to Asymmetric, or Asynchronous. In either case, this refers to the fact that ADSL allows for greater download speeds than upload speeds, making it ‘sync’ unevenly. This isn’t by design – providing a synchronous DSL service (SDSL) requires that the end user equipment be capable of much more than your $100 Netgear modem is capable of. As most consumers are unwilling to install costly networking equipment in their home, and as most consumers are looking to download more than upload, putting the A in ADSL is a matter of market desire and technological capability marrying up. 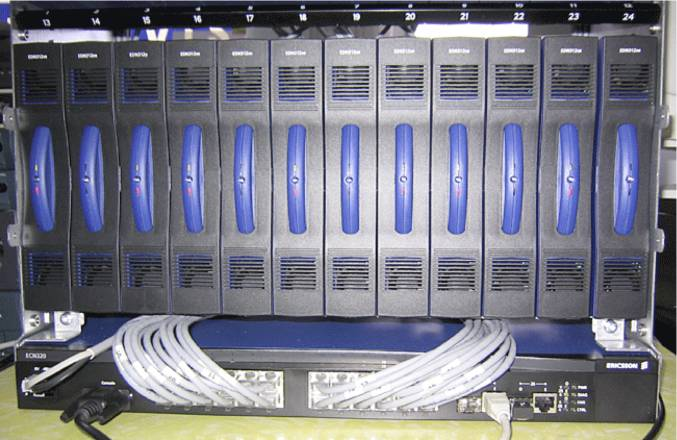 A DSLAM is a Digital Subscriber Line Access Multiplexer. It is basically a large array, or rack of network devices (like modems), wired up together and in turn connected to a main telephone switch. That in itself is a much more complicated device. But it’s not far off from what you’d imagine – it’s a big computer that routes your telephone calls across big interstate (and international) links, to be switched by a similar device on the other end. In most cases, those links are fibre-optic cables. But in ye olden days, these big links were just big bundles of copper lines with a thicker gauge. These big switches are commonly referred to as Trunks (providing the ‘T’ in STD, or Subscriber Trunk Dialing). Telstra installs DSLAMs pretty much everywhere, as part of their own strategy. 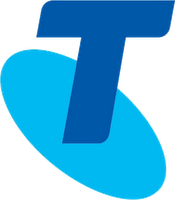 Telstra has a Universal Service Obligation (USO) to provide telephone service to every home and business in Australia, as a condition of their privatization. Because they own the exchange buildings, and the network, and the conduits in between, they have much lower unit costs to install a DSLAM at nearly every exchange. To date, they have a DSLAM serving some 2000+ exchanges, which is nearly every active and running telephone exchange in Australia. ADSL only maintains a signal to 4.5km, but a telephone signal can perpetuate at much further distances. As a result, many rural exchanges were built to service a radius of well over 4.5km, as they were only developed to serve telephone calls. Putting an exchange within 4.5km of every home in Australia would require about 10 times as many exchanges, and some exchanges would only serve a single household! As a result, Telstra technically serves Broadband access to most areas, but in many of those areas, a good amount of people lie outside that 4.5km radius. In many spots, Telstra have replaced a typical twisted-pair copper connection to each home with a collection of technologies that are incompatible with DSL. This includes Pair Gain and Remote Integrated Multiplexing (RIMs), which are used to cheaply and effectively extend the range and capability of a standard telephone loop. If you’re on a RIM, you can apply to Telstra for a Line Transposition Request, though this can be a lengthy and fruitless endeavour. Telstra DSLAMS are used to provide BigPond internet connections. For the last few years, Telstra has been required to wholesale out space on their network for other providers to use. This allows for competitive providers to extend the reach of their own network. Telstra Wholesale charge heftily for access to their network, so the final retail price of these “Off-Net” plans are often equal to or only slightly cheaper than BigPond’s own retail plans. The main advantage of connecting to a Telstra DSLAM is the network is cared for by one of Australia’s largest and most capable companies. Telstra services most businesses, state and federal governments and is publicly listed, making it highly accountable. System failures on Telstra DSLAMS are relatively rare. Another advantage is that everyone uses Telstra’s copper connection between the exchange and the home. When using a competitor’s DSLAM, there is another leap to make as the Telstra traffic is switched to a competitor DSLAM. When on a Telstra DSLAM, that’s one less route to take. As a result, direct Bigpond connections on a Telstra DSLAM are on average slightly faster than many other DSL connections to the competition. The main disadvantage is the higher average cost of connecting to a Telstra DSLAM, whether you’re connecting with BigPond or on a TPG, Internode or other provider’s ‘Off-Net’ plan. Also, because Telstra DSLAMS cart so much traffic overall, in some spots congestion can become an issue. For instance, in a regional or rural area only served by Telstra, they will be carrying traffic for BigPond, and for every other provider - instead of spreading the load amongst several different provider DSLAMs. Internode was amongst the first providers to install their own DSLAMs rather than rent space from Telstra. iiNet followed soon after (iiNet now owns Internode, and their DSLAMS are merging). Optus and TPG control their own extensive DSLAM networks,, with some other small providers also controlling significantly smaller networks. Most competitive providers, who lack the resources that Telstra has, will target those exchanges that serve the greatest number of potential customers. That means many people, within 4.5km of the exchange. In all, Internode/iiNet operates a network of over 400 DSLAMS, with TPG operating about 400, and Optus about 350. Unfortunately, these networks overlap, meaning that metro customers are spoiled for choice, while regional and rural customers are usually stuck with re-sold Telstra Wholesale connections. 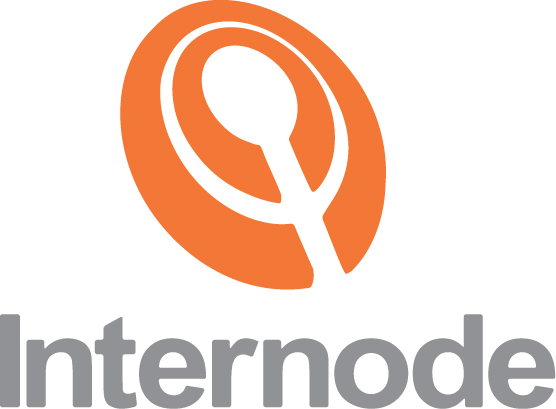 Internode’s network of interstate and international links are owned and operated by Agile Communications, which in turn is owned by Internode. So Internode can provide direct maintenance and control over the operation of their network, from the exchange. Internode was started by Simon Hackett, who still acts as Managing Director. Hackett has been an outspoken advocate for good cheap internet and a fixture in the Australian IT scene for over 20 years, and has initiated many innovations that have become common practice. Internode maintains an Australian-based workforce, and offers something of a boutique approach to providing an internet connection. They’re not cheap, but they strive to offer the best overall experience, from both a customer service and technology perspective. Internode builds in the Annex M standard to their DSLAM equipment, allowing for much faster upload speeds than can typically be achieved on an ADSL line. While still offering up to 24Mbps download speeds, they can also offer upload speeds up to 3Mbps, over a typical 1 Mbps provided through Telstra DSLAMS. This bridges the gap slightly between residential plans and vastly more expensive business plans, which can provide faster upload speeds. Annex M allows some businesses to stick with the cheaper residential plans and enjoy ‘good enough’ upload speeds to serve their business needs. Internode offer far cheaper prices on their own exchanges, and three tiers of service – Easy Broadband, Easy Bundle and Easy Naked. Easy Broadband allows for broadband + integrated voice-over-internet-protocol (VOIP). The VOIP service, or NodePhone is a better standard VOIP service than most, utilizing the best technology to achieve near-copper levels of fidelity. Easy Bundle plans bundle a typical Telstra landline phone and an Internode broadband plan. Easy Naked provides a broadband service only, with no home phone service (though a VOIP service can be bolted on). Internode also offers internet protocol TV (IPTV) services on their own DSLAMs. This is an internet based Pay TV service, using your connection instead of a separate cable or satellite signal. FetchTV, through Internode, starts from just $4.95 a month, making it one of the cheapest available Pay TV solutions. So the main advantage of being on an Internode DSLAM include faster uploads, access to Internode’s best plans (including their Naked plans), access to IPTV and boutique levels of service. As Internode mostly uses their DSLAM networks for their own customers (they do wholesale a little bit), congestion is unlikely to be a problem. Internode’s slightly higher price range and portion control (they avoid Unlimited plans, to deter would-be bandwidth hogs) further helps keep their network neat and tidy. The main disadvantage is that Internode is not as widely available as Telstra, meaning that a move to a non-Internode serviced address could be more disruptive than usual. But with their recent expansion and with the option of 1-month contracts (to avoid disconnection fees), that situation can be avoided. To find out more about Internode’s plans and offers, call us on 1300 106 571 today.